I recently spent a few weeks in Europe and was fortunate to be able to spend some of this time expanding my food knowledge and cooking in kitchens abroad. 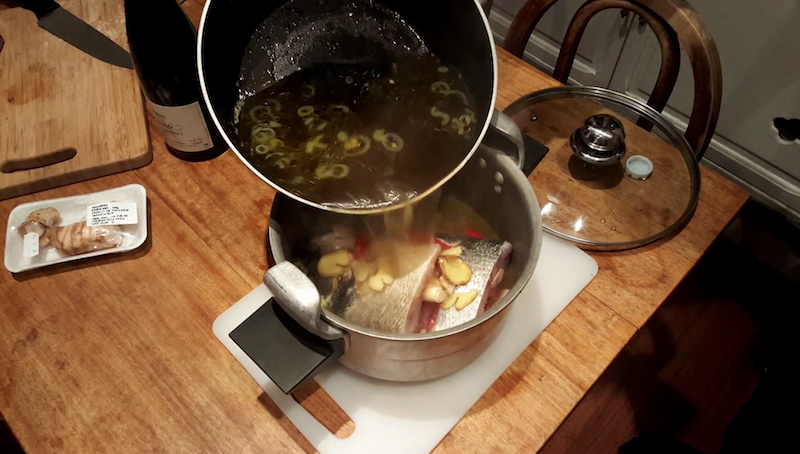 Here is a variation on my Khmer Fish Soup made with delicious fresh fish in Nice and shared with friends over dinner at a close friends apartment near to Nice port. My website with all my recipes is now live at https://www.veasnainthekitchen.com. Watch for more added there soon! In the meantime don’t forget to subscribe at https://www.youtube.com/c/veasnainthekitchen?sub_confirmation=1 where you will find all my other videos. I am a professional chef passionate about real Cambodian food, as well as many international cuisines and love travelling and learning about food from all over the world. I offer private dining, cooking classes and food tours in my home city of Phnom Penh, get in touch if you’re interested to find out more. Just contact me with your requirements or for more info.